Connect with women to elevate your career and improve work for everyone. Just like my mom used to say “you are the friends you keep”, we are elevated by our networks. One of the central problems of networking is it’s messy and time consuming: how many events have you gone to where you don’t even know if you’ll meet the right people? And what about online platforms where you get bombarded by the wrong messages and messengers? Current networking tools are too broad – they don’t enable you to meet like-minded people easily with a shared mission. At PowerToFly we’re here to rise, and see other women rise, at workplaces committed to building inclusive environments where we can thrive and not just survive. 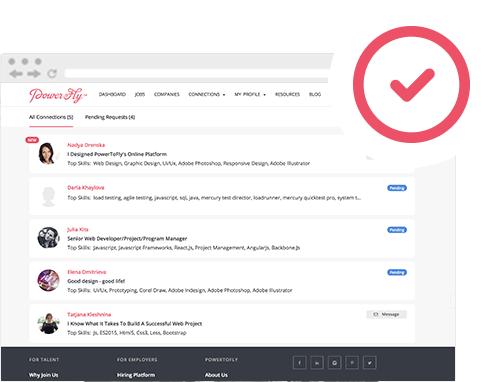 Connect with women working at companies you are interested in, and get inside information on that company’s interview process, benefits, culture, and more. Find coaches and mentors who want to elevate women like you. 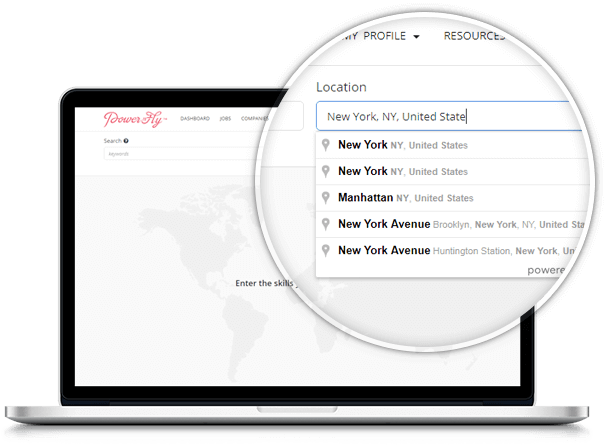 Search for any keywords and location. 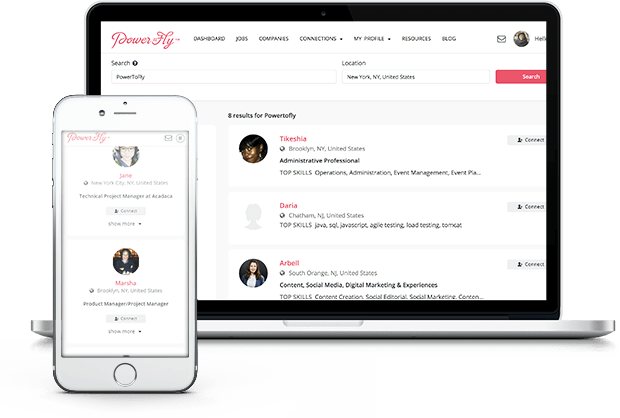 Let’s say you want to apply for a job with PowerToFly and want to find women working at the company in the New York area. 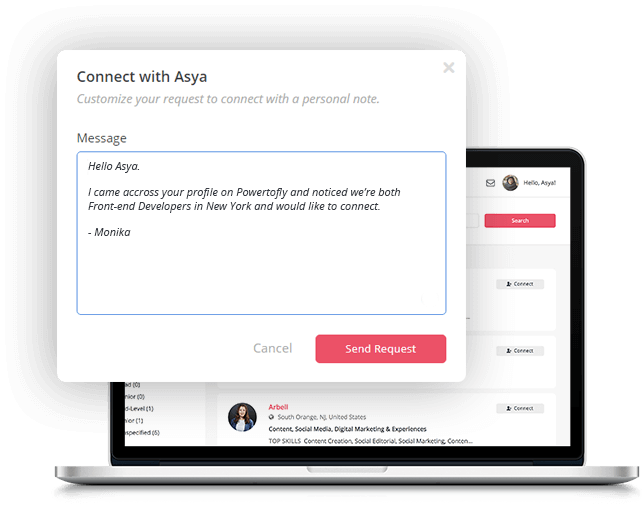 Click connect to send a connection request to the women you are interested to start a conversation. Add a quick reason why you are trying to connect with them or why they should connect with you. Wait for the other person to respond to your request to start the conversation! You will get an email notifying you when this happens, but you can also see your pending requests and their status as well as manage your existing connections under Manage Connections. Send us any feedback on any features you would like to see or report any issues at hi@powertofly.com.